Get New Zealand’s BEST Life Insurance Quotes – NOW! 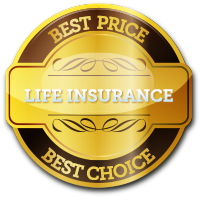 Getting the best Life Insurance Quotes is easy. Just fill out the form to find New Zealand’s best and cheapest life insurance. An life insurance policy gives great peace of mind, knowing that should something happen to you during the term of your mortgage, your family will be able to pay off the remaining balance on your mortgage, and not lose their home. A Life Insurance Policy can also include sickness cover; so if you suffer any of a list of illnesses it can also help with repayment of your mortgage in the form of a lump sum. The amount of life cover you need and the length you are protected for, depends on the amount and term of your mortgage. While you pay off your mortgage, generally your life insurance reduces as the amount you owe on your mortgage also decreases.